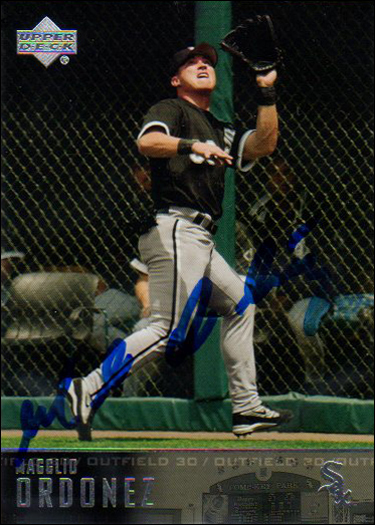 Last week I received three autographs from Magglio Ordonez. The autographs were obtained through the Detroit Tigers "Autographs for a Cause" program. 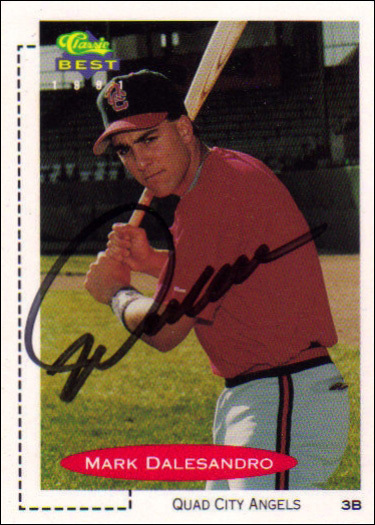 Magglio is one of eight current Tigers players that signs for a donation. More information can be found here. First mail success in almost a year! 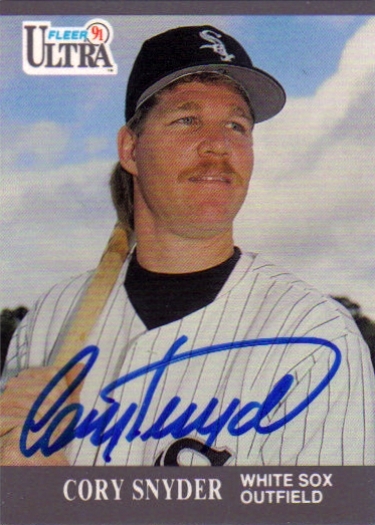 I just haven't had time lately to send out an TTM requests. 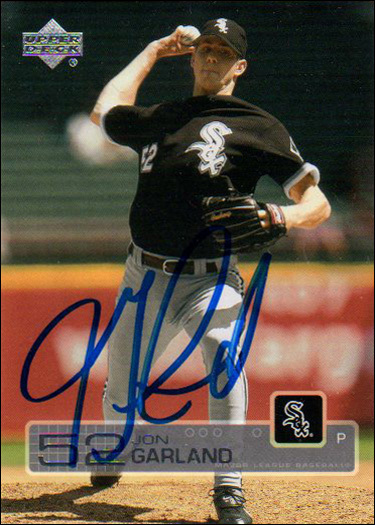 I used to be a TTM machine, but the last requests I sent out were in July of 2010. I finally made myself send a few out on May 31st. 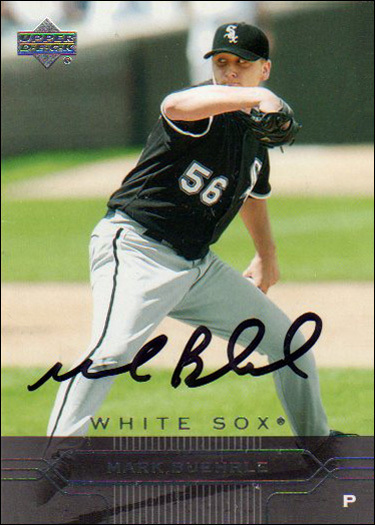 I sent to Mark Buehrle, Jon Garland, Octavio Dotel, and Magglio Ordonez. All cards sent were for my UD project. This week I got two of them back! 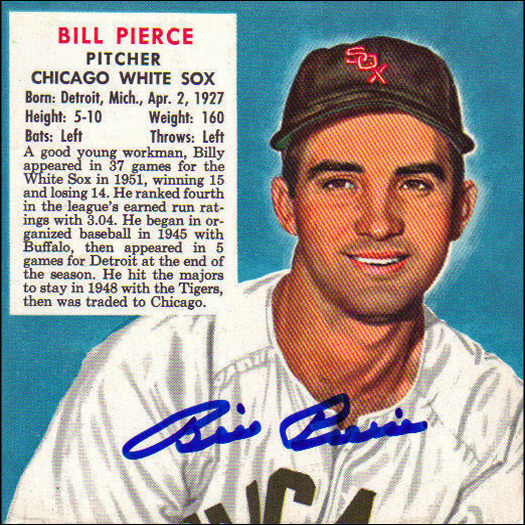 I am planning on sending another small batch of TTM requests later this week. At the very least I will be sending to D.J. Carrasco, Dustin Hermanson, Don Johnson, Billy Pierce, Cliff Politte, & Bob Wilson. 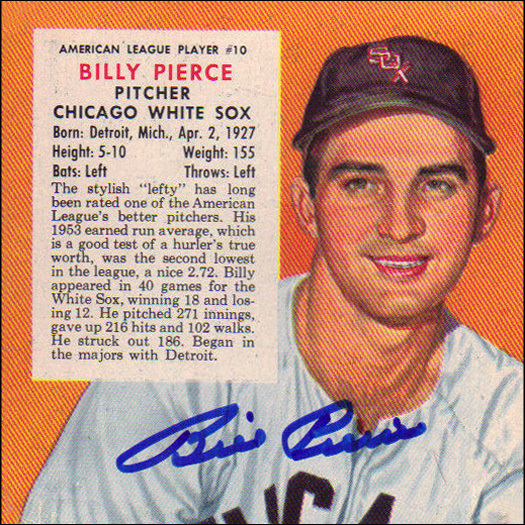 Billy Pierce was kind enough to sign 6 cards for me. 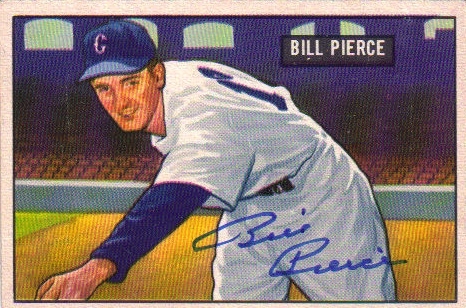 Mr. Pierce is my pick for best mail signer on the planet. I was a bit hesitant to send 6 at one time, but if there is one person that wouldn't have a problem with it, it would be Billy. The return took 9 days. 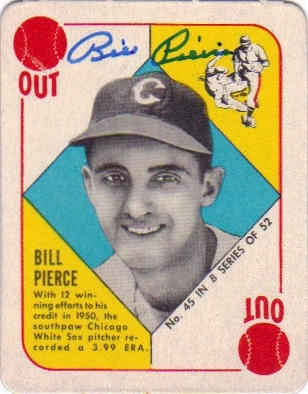 I'm especially excited about the 1952-54 Red Man cards! Hall of Famer Carlton Fisk has a total of 7 Upper Deck cards that I need to get signed for my All-Time Upper Deck project. I can now cross 2 of those off of my wantlist. I obtained these through the mail. Mr. Fisk will sign for a $40 donation to the Cancer Support Center. Today is the last day of my spring training vacation. I had planned on going to the Astros workout, but unfortunately it was supposed to rain all day, so I ended up taking the day off to recuperate. I've been in a pretty poor mood all day, as I hate wasting a day. Luckily, I got a nice return in the mail to lift my spirits. 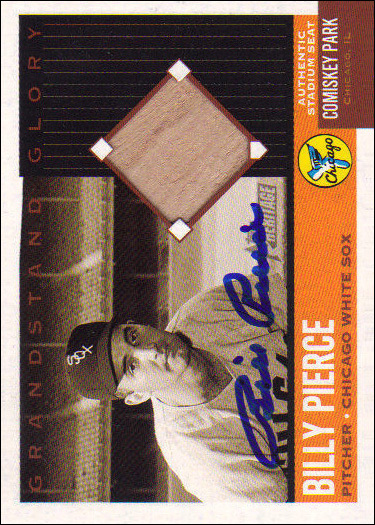 Billy is one of my all-time favorite White Sox players, so I'm thrilled to finally have both of his rookie cards signed. Billy uses a perfect pen for vintage autos, so I didn't even have to send a pen! I was lucky to get a pretty good deal on both cards, and both are in very nice condition. Thanks Billy! 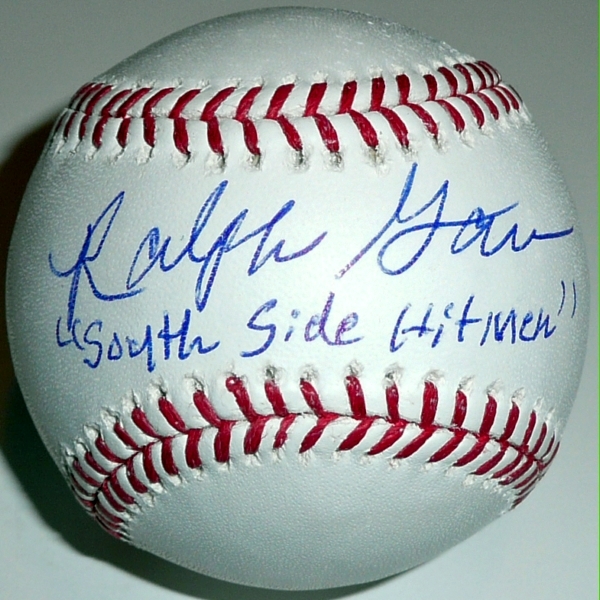 Added another baseball to my growing "South Side Hitmen" collection. 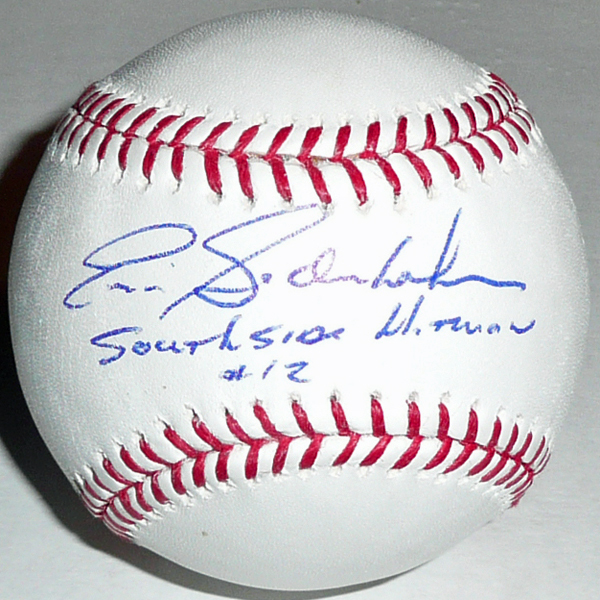 Today's mail brought an Eric Soderholm baseball, complete with inscription and jersey number. Autographs | Baseballs | Mail | White Sox | Project "South Side Hitmen"
My collection now includes baseballs with this same inscription from Garr, Chet Lemon, Jorge Orta, and Oscar Gamble. 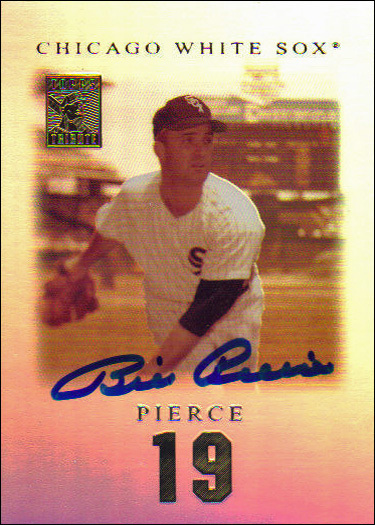 My goal is to get all of the main offensive players from the 1977 White Sox. 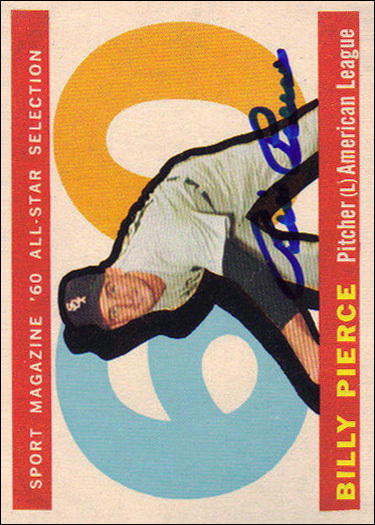 Jim Spencer will most likely be impossible, as I doubt there are many baseballs floating around out there with this exact inscription. Richie Zisk may prove tough as well, as he has apparently stopped signing autographs. 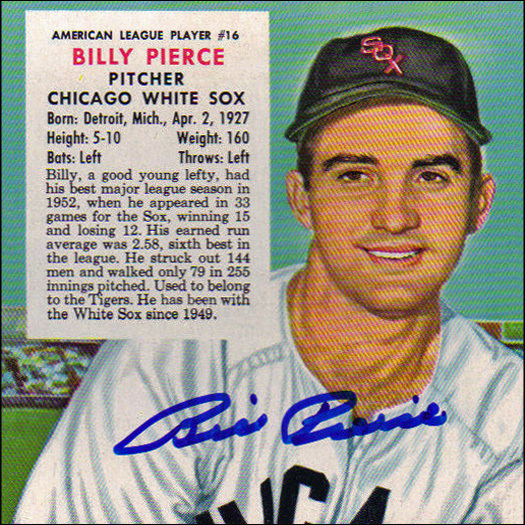 The Dalesandro isn't a Sox card, but as his only Sox cards are in minor league team sets that I don't have, it will have to do! I was perusing my Mailbag database, and I noticed that I have had a pretty good success rate over the past year. I decided to share my success rate for 2009. Hopefully this will continue to improve as the successes keep piling up! Mailings - I sent 255 requests in 2009, and thus far have received 190 successful returns. That gives me a success rate of 75%. Not bad! Total items - I sent 546 items in 2009, and as of today 427 of them have been returned to me signed. That comes out to a 78% success rate. My quickest returns were from Chris Knapp and Roberto Hernandez. In both cases I had the signed cards in my hands 3 days after mailing! The slowest return so far was from Orlando Cabrera, which took 224 days. I expect this to change though, as there are always a few returns that show up long after you've given up on them. I'll be doing my (belated) first mailings of 2010 in the next couple of weeks.